Would you like to enjoy guilt free eating? Would you like to lose weight simply and permanently? Would you like to regain control of your cravings? If you answered yes to any of these questions… then I’ve got great news for you. Embracing positive eating decisions is simpler than you may think. But you may be thinking, “But I’ve already done that and it didn’t last.” I know how you feel and I have felt the same way in the past. My desire is to share with you what I found in my journey to take control of my eating, my body and my life. Two Teleseminars a month. The first seminar each month is led by Amanda and will provide simple steps and tools to combat emotional eating. The second seminar is designed to answer any questions and challenges you may have. You will also receive an MP3 of each seminar to listen to at your convenience. Membership to The Healthy Profit Facebook group. This is a private group where you can share your experiences, tips and ask questions. 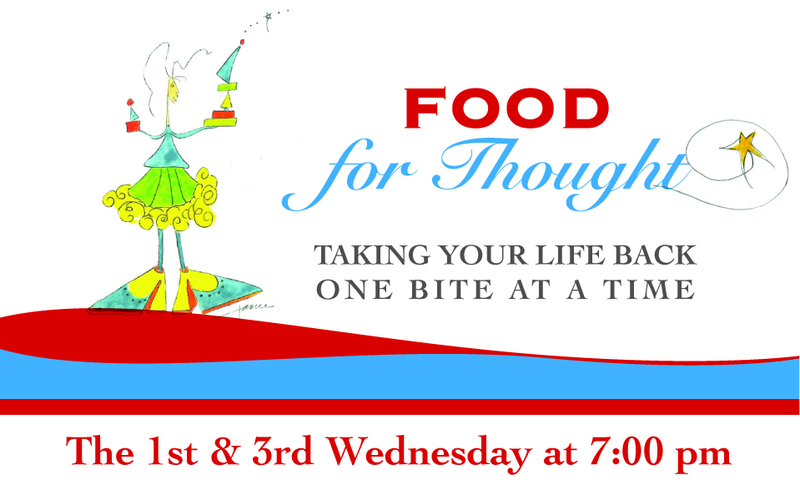 Join Food for Thought Today! I would like to join the private Facebook page.